PA voters. 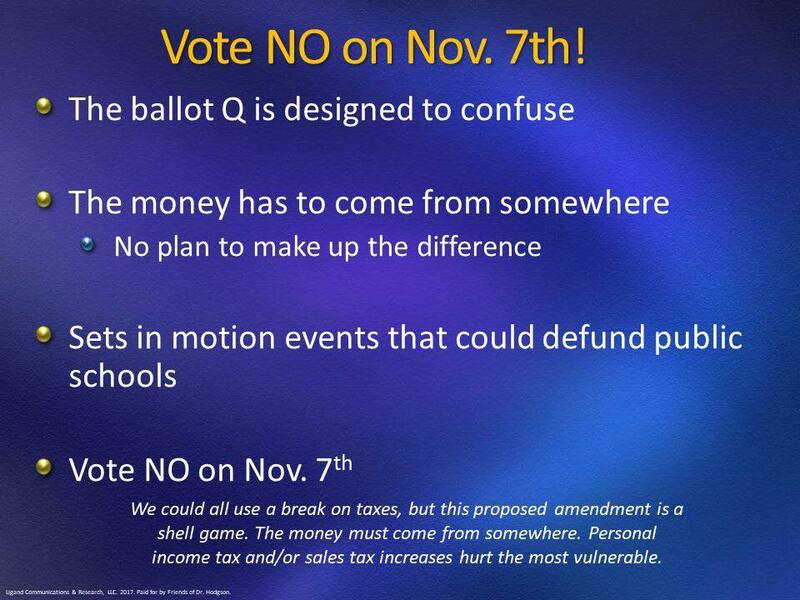 When you vote on November 7, there's going to be a ballot question. It asks voters to approve an amendment to our State Constitution, potentially reducing or eliminating taxes based on the assessed value of the primary residence of a homeowner. Sounds good, huh? Hold on though. If this ballot question passes, it would force an increase of other local taxes causing irreparable harm to the working poor and middle class. This ballot question leaves the replacement for these taxes an open question. So how do we fund both County and local public services as well as public schools that are currently supported by these taxes? Some of the ideas floated include an increase of sales and income taxes. This potentially harms those on a fixed income including Veterans, disabled and retired taxpayers. This is a regressive tax plan, supported by conservative organizations, including anti-tax groups, anti-public school groups, and groups that want to privatize and create for-profit schools. It has not been endorsed by a single organization that serves workers, students, Veterans, retired taxpayers, or disabled taxpayers. All it's doing is shifting the tax burden to those who can least afford it. Property tax reform is a hot topic in Pennsylvania and many other states. However, the PA State Constitution requires education funding for all students. While we all want to pay less tax, for true reform we need a severence tax on Marcellus shale drillers among other options. Until we get a sensible source of funding for our schools, we can't eliminate school taxes. Thank you Janice Haman, Tiffany Boyd Hodgson & Michele Cooper for this information!